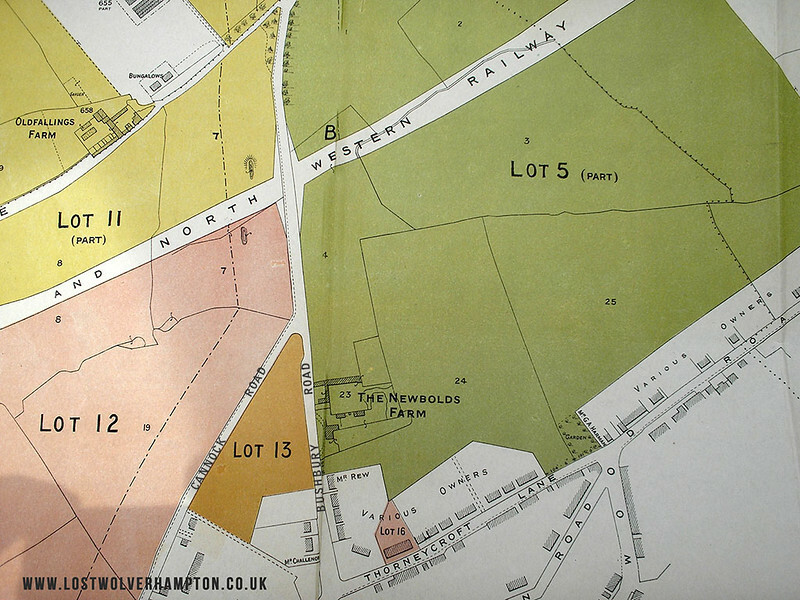 Lost Wolverhampton is now on the "MAP"
Frontpage › Forum › People & Places of Wolverhampton › Lost Wolverhampton is now on the "MAP"
This topic contains 9 replies, has 2 voices, and was last updated by Billy 3 years, 10 months ago. Davids continuing interest in Stafford Street on his facebook group, has brought about a lot of comments regarding the whereabouts of the slum area once known as Carribee Islands. Well let me map it out for you. During the 1840’s and 50’s Wolverhampton offered a lifeline to those facing starvation in Ireland as the result of the terrible Potato famine, and during these years the town saw a great influx of Irish Families. 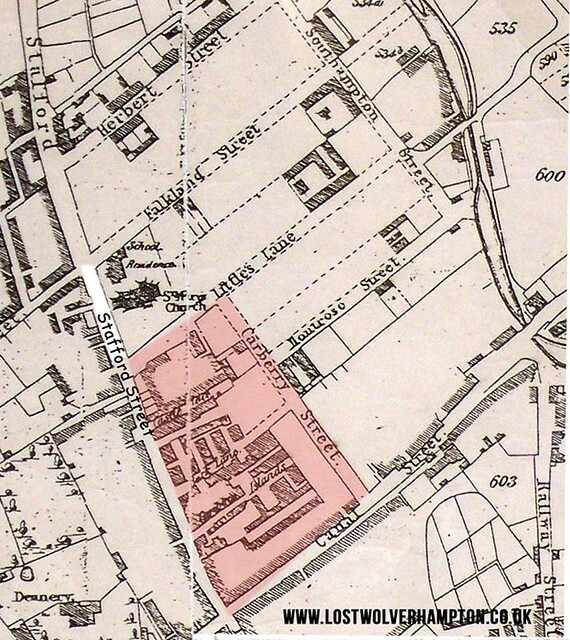 Many ended up in this area between Stafford Street and the canal, and by 1851, out of an overall population of nearly 50 thousand, over 6,000 were Irish. With so many families now settled in the town, Catholic schools were needed for the children. the first one being built in littles lane in 1849 S.S. Patrick and George. For the Irish community life was tough and often violent and disease ridden.,Typhoid and Cholera were rife in Carribbee Island and the mortality rate was high. IN 1843 a public report outlined the squalid and unsanitary conditions endured by many poor Irish families and local Doctor, James Gatis wrote a letter to the chronicle in disgust stating nothing had been done to eradicate the evil conditions. No wonder that there were so many cases of fever especially Typhus fever. 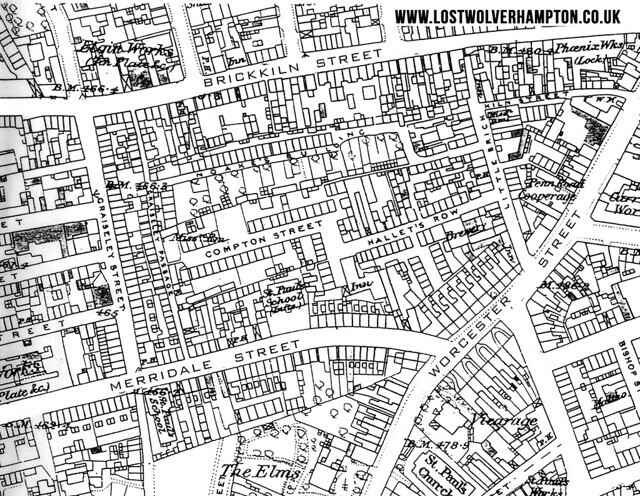 Have you got any maps or photographs of the back to back houses in Merridale Street Wolverhampton c1924? This small section of Merridale Street, I have placed here is the short piece from Worcester Street to Graisley Street. Because I find this section the most interesting bit of what was a lengthy Street. I don’t think Wolverhampton had many back to back houses such as Birmingham But we had many courts, and you can see them on here in abundance. If you wish to look at a complete picture of the houses in Merridale Street , Wolverhampton Archives is the place to go Please ask for the ordnance survey map relevant to the date you want. If I can help you or other members with further information regarding this map, feel free to ask. Katie Goode recalls Camp Street shortly before its demise. Do You! I remember Merridale Street well – although it was in fact the part known as Merridale Street West. So probably not the section you particularly refer to. My auntie Vera lived at 137. In fact she was not an actual relation, but a good friend of my mum. Vera and Len Morrell. 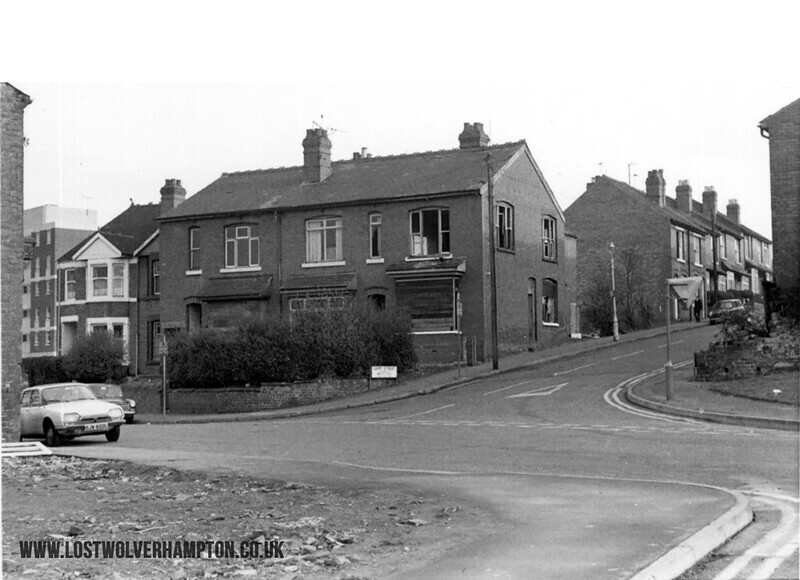 137 was a few houses up from the Owen Road end of Merridale st West. We were in touch until a couple of Christmasses ago. Yes maggie I see Len and Vera were still there in the 1960’s Merridale Street and Great Brickkiln Street were probably two of the longest Streets in those days . Yes, they were still there then. I am not sure when Len passed away (my mum moved to the west country in the late sixties) but Vera was still there quite recently. I last visited her in about 1990, but have continued exchanging Christmas cards, and receiving one too, up until about two years ago – so either she was still living there or was getting her mail forwarded, as I don’t have another address. ps – Fascinated to see that a corner of Bishop Street is showing on your map, Billy. My mum grew up in Bishop Street, but it had gone by the time I was old enough to take notice. 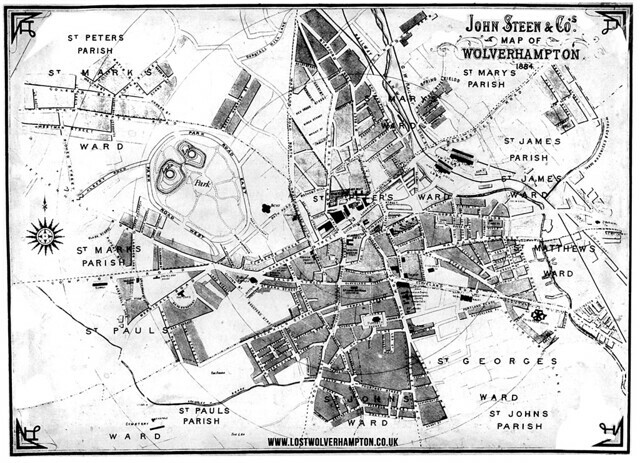 Before we finish on Newbolds Farm I would just like to add a little further information regarding this ancient farm for members who may not recal its location.It once covered an area of almost 100 acres between Bushbury Road, Victoria Road ,Thorneycroft lane and Prestwood Road . Up the Cannock Road as far as Mill Lane. As Allan said the last owner was James Cope and it was sold circa 1916 here is a copy of the sales plan from that year. Alan enquires about the line of the proposed railway across Old Fallings. I think Alan, it was a line that never came off. It was started as the London & North Western Cannock Chase Branch Railway. The 1860s saw the up and coming age of the Railway locomotive and there were numerous collieries in production all over Cannock Chase who were keen to adopt this new form of rapid transport for their products. Plans were submitted to Parliament by the Cannock Chase and Wolverhampton Railway Company suggesting a railway from the north side of Chasewater to a junction with the Great Western Railway just to the north of Wolverhampton Low Level. The only section of this railway that was built was the section now in use by Chasewater Railway which conjoined along the Reservoir’s south shore with the Midland Railway and the London & North Western Railway.